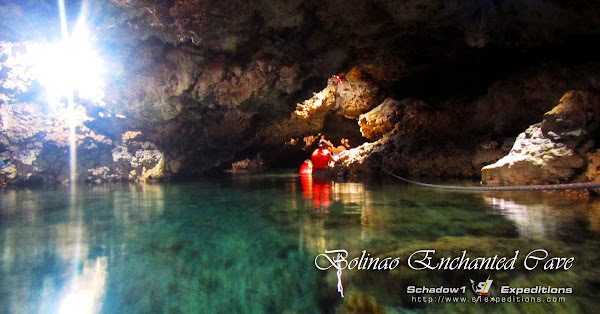 Bolinao is the last town at the tip of the province of Pangasinan. The last frontier of the province being at its northernmost tip where there are no other destinations you can go to except to this town. Not much known as compared to the more famous Hundred Islands that is located on the same province, getting to the top of Luzon's western peninsula is a must to discover as it offers far more that what a tourist destination you can expect from a low-land such as the province of Pangasinan. 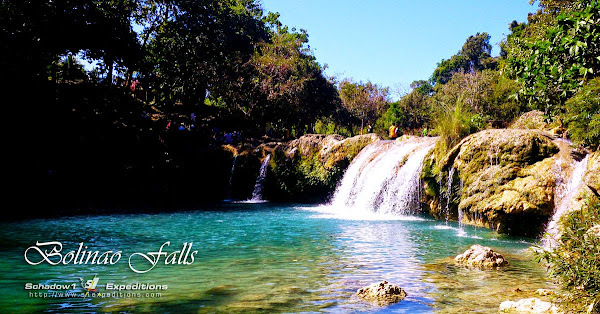 Pangasinan is the most populous of all the provinces in the Ilocos region, due to the reason that it is primarily a flat land with fewer mountains as compared to its neighboring provinces in the Ilocos. Add to it that this province is the regional gateway to Ilocos. It has a distinct dialect called Pangasinense or locally known as Pangalatok. Although similar to Ilokano, its central town including Dagupan, Calasiao, San Carlos, Malasiqui are predominantly speaking Pangalatok whereas the other areas are speaking Ilokano. Although its modern generation are more likely to speak Tagalog than their local dialects. 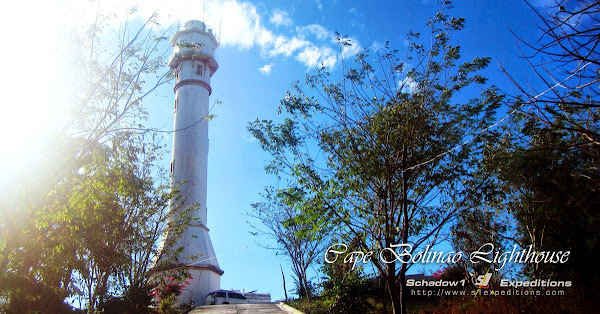 Bolinao, Pangasinan is a flat land however before you enter the town, one has to traverse a mountainous area not more than 120 meters above sea level to be able to reach it. The province offers a colorful history, being the melting pot of culture that dates back to the Chinese' dynasty era when Chinese and neighboring Vietnam has always embark by its shores to trade goods during the 10th century. A pre-colonial time of the Philippines when it was once called the Maharlika. Its northern and nothwestern tip features pristine golden sand beaches and a verdant colored sea as it faces directly west to provide a glaring view of the sunset and its waves are strong due to the vast West Philippine Sea where the waters originate. When commuting, Patar can be reached via an 18-km tricycle ride from its main town center. 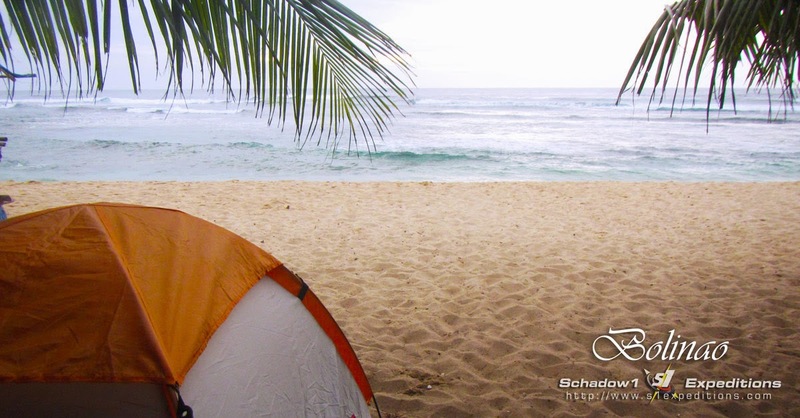 There is a public beach to where you can pitch a tent for Php 250 or with a cottage for Php 300. However when you want a quieter ambiance, you can choose from private resorts with lesser people for a fee. 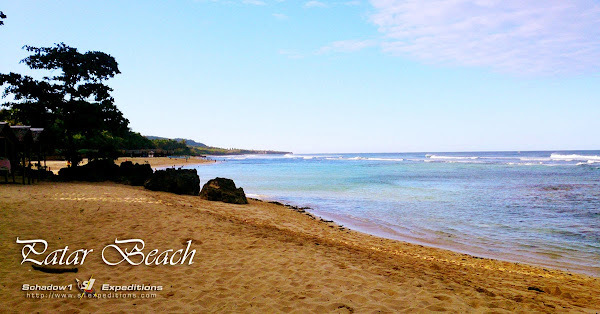 All of the resorts are accessible from along the same road by the shores of Patar ranging from low cost (Php 500) for a night including cottage to Php1200 for a room per night and to a more exclusive hotel at Php 3000 per night. All of the resorts are facing west thereby giving you the same view. What differs is the class of accommodation and the number of visitors. We stayed a Nelly's White Beach Resort. A not so fancy resort that we chose just to have a more peaceful stay while pitching our tent as compared to the populous public beach. You may contact Nelly Ramirez, the owner at +63 (908) 1059493. You may mention this blog so she can remember. Binungey is Bolinao's signature delicacy. 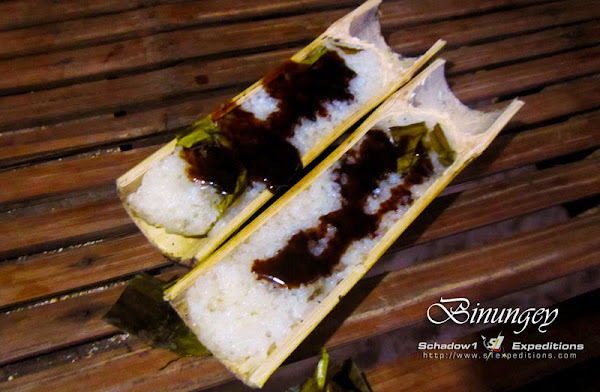 It is a rice cake cooked inside a bamboo trunk and is sweetened using melted raw sugar. Costs 3 pcs for Php 100 for smaller servings and Php 50 per pc for bigger servings. Primary transportation within the town is tricycle. 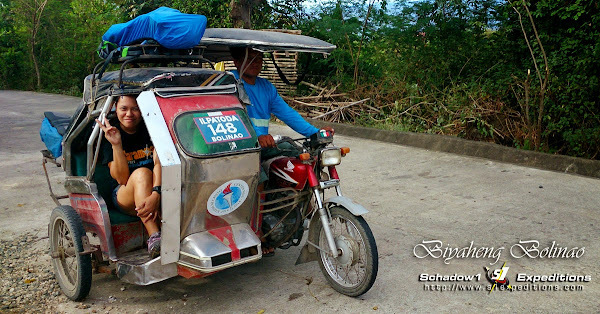 We have acquired the services of Kuya Gerry to tour us around the town for 2 days with his trike and cost us Php 1200. You may contact him at +63 (939) 3369550. Just mention him my name (Ervin) so he can remember. Having your own vehicle that can take the toll of rough roads is a plus. 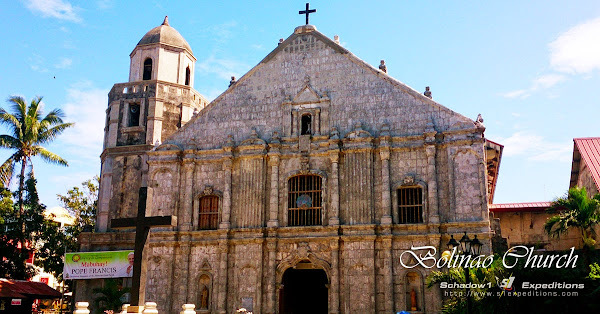 Deluxe Airconditioned Bus fare from Manila to Bolinao is Php 459 as of the time of this article was written.